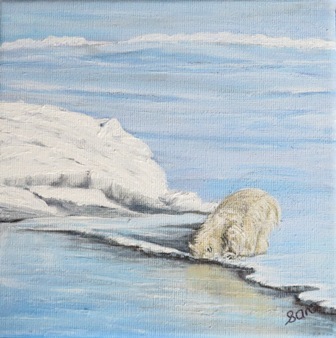 A lovely painting from my Mini Art Series, showing a polar bear on the ice, with his head in the water, looking for his lunch. 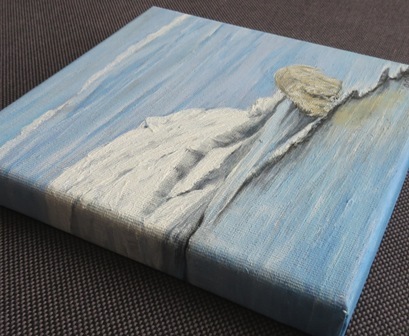 Painted in Acrylic on canvas, size 7.75" square, (19cm), Signed and varnished for a professional finish. This would fit into any size home, whether large or small, effective enough to be noticed by all. It would also make a great gift idea for friends or family members, or a treat for yourself.